Low-slope facility roofs need greater weather protection than high-pitched roofs. 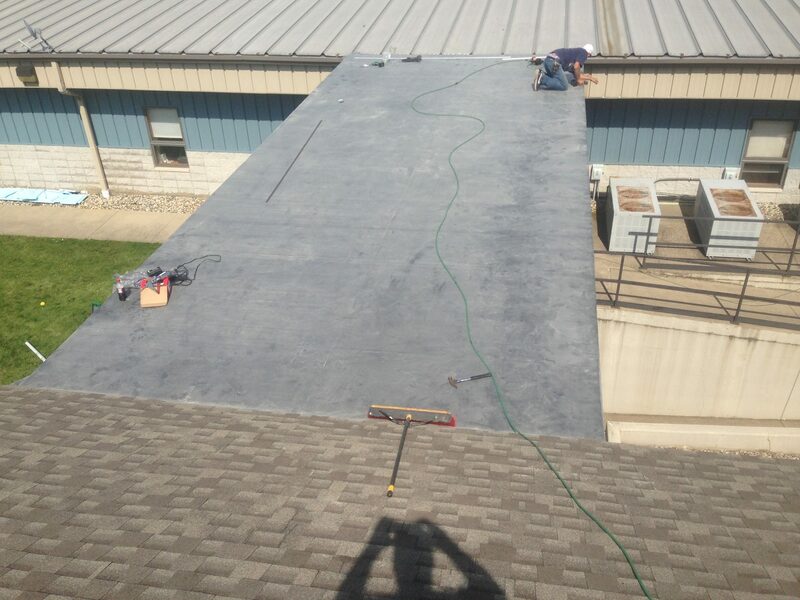 Rubber roof installation involves the application of single-ply ethylene propylene diene monomer (EPDM), which delivers a tough waterproof roof surface. After a professional installs a rubber roofing system, you can expect your new roof to last for decades without deterioration. The rubber remains flexible, even during frigid weather, and installation costs are budget-friendly. Another advantage of a rubber roof install is the wide variety of available application methods. EPDM can be fully adhered, ballasted or mechanically attached, making it suitable for nearly every facility design or purpose. EPDM is, dollar-for-dollar, one of the best values in low-slope roofing systems. Web Design By Blue River Digital. © Shadow Ridge Roofing by Shad Sibert. All rights reserved.